Such begins the delightful story and activity I participated in with a group of young learners today. Taken from Margaret McNamara and Brian Karas’ book, The Apple Orchard Riddle, this clever old riddle offers a new twist in a beautiful children’s picture book. 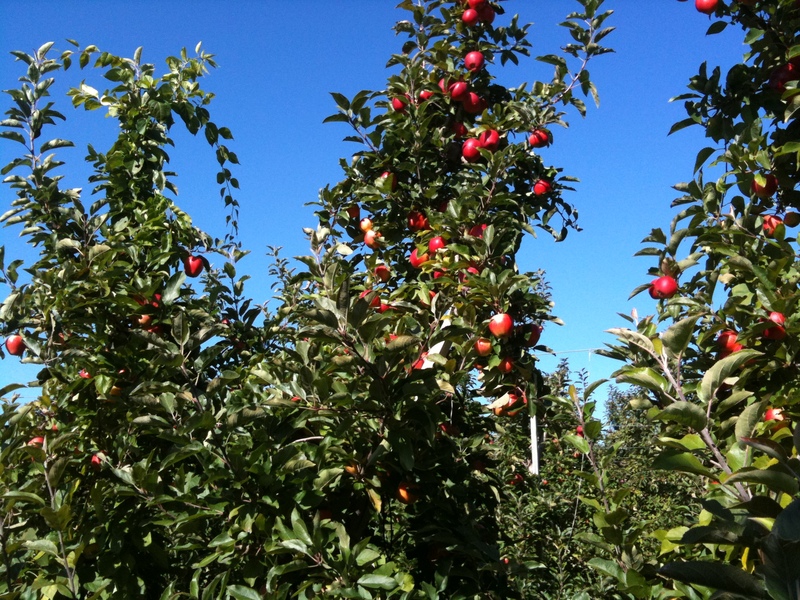 Young readers discover the answer to the important questions, take a tour of a real apple orchard, and pick up bushels of apple facts along the journey. Child: Mrs. Van, what’s your favorite kind of apple to eat? Me: I really like gala apples to eat with my peanut butter, but Granny Smith apples bake the best in my pies and cakes. Child: Did you know each apple has a star inside? I think you have a star inside too. I can only hope, little friend 🙂 …here’s hoping you have the real opportunity to share an apple orchard experience with your little star sometime soon! This entry was posted in Personal Reflections and tagged Apple Orchard Riddle, apples. Bookmark the permalink.